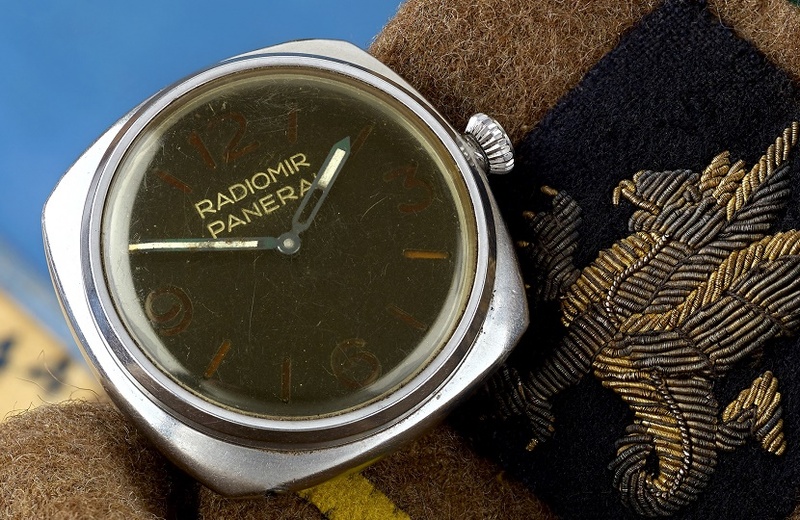 A highly rare Panerai watch worn by German frogmen during WWII could fetch up to $40,000 when it goes up for sale in the U.K next month. The Panerai Ref. 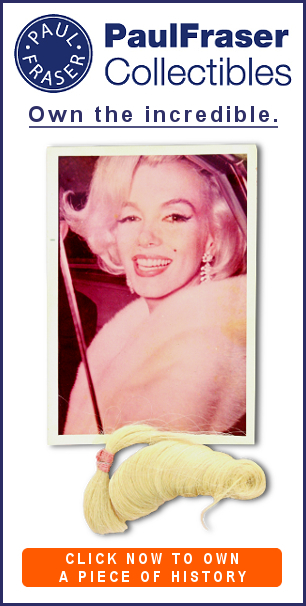 3646 wristwatch is expected to sell for £20,000 – £30,000 (approx. $26,000 – $40,000) as part of Fellows’ specialist watch sale in Birmingham on April 2. The rarity, history and quality of the Ref. 3646 has made it highly sought-after by collectors of military watches and Panerai specialists alike. In 1936 the Italian Royal Navy asked Panerai to produce a watch that would keep exact time in extreme underwater conditions, for use by its divers and submarine crews. In response they designed the Ref. 3646, using a radium-based powder known as ‘Radiomir’ to create luminous dials which were visible in the darkest underwater conditions. 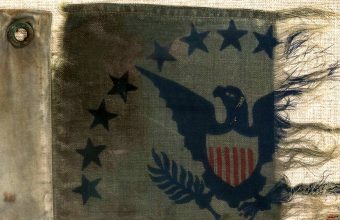 Throughout WWII these Ref. 3646 wristwatches were supplied to both Italian and German military divers, including an elite commando unit of frogmen known as the ‘Kampfschwimmers’. These specially-trained divers were tasked with destroying bridges, dams, canals, coastal defences and Allied vessels using special limpet mines and submersible torpedoes. According to experts, just 211 examples of the Panerai Ref. 3646 are known to survive and each example has a story to tell. 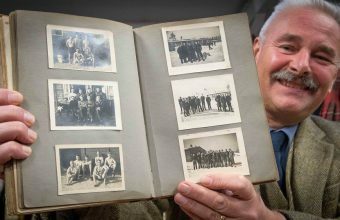 The watch offered at Fellows originates from the collection of Captain Alfred Packer of the 43rd Reconnaissance Regiment, who took part in Operation Market Garden in September 1944. At the beginning of the operation the Allies took control of several bridges between Eindhoven and Nijmegen, and captured a number of Kampfschwimmers who had been attempting to blow them up before they fell into enemy hands. The watch case bears the engraved name “Kurt Kohlrusch”, thought to be one of the 10 German divers captured as POWs by Allied forces. 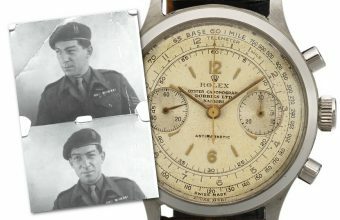 Like many soldiers on both sides, Packer acquired the enemy watch as a keepsake, and it remained in the collection of his family for 75 years until being consigned to Fellows this month. In itself, the auction of a Panerai Ref. 3646 is a rare occurrence; but remarkably, the upcoming sale marks the second time in 12 months that an example has crossed the block at Fellows. The previous watch sold back in January 2018 for £41,000 (approx. $54,000). 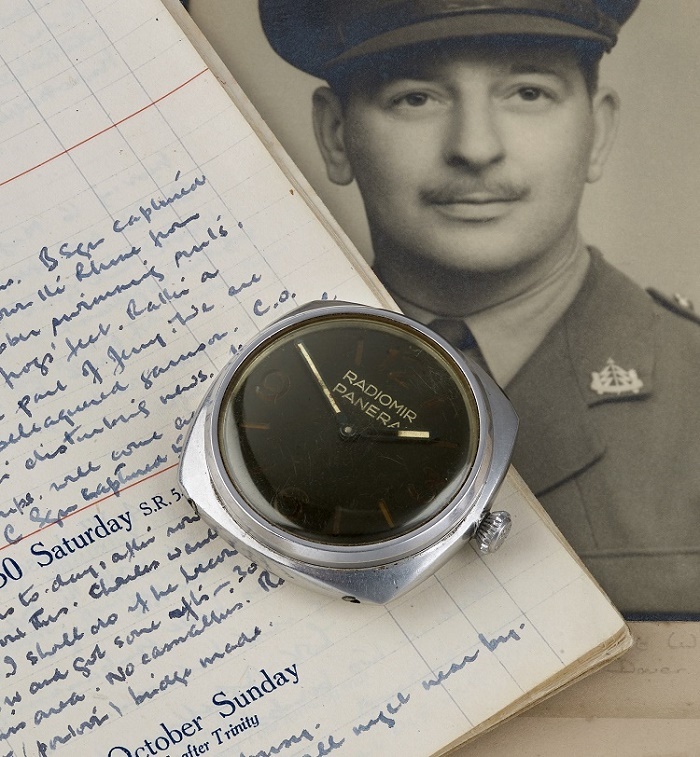 And in an even more striking coincidence, that watch was consigned form the collection of George H. Rowson – another member of the 43rd Reconnaissance Corps who served alongside Alfred Packer. 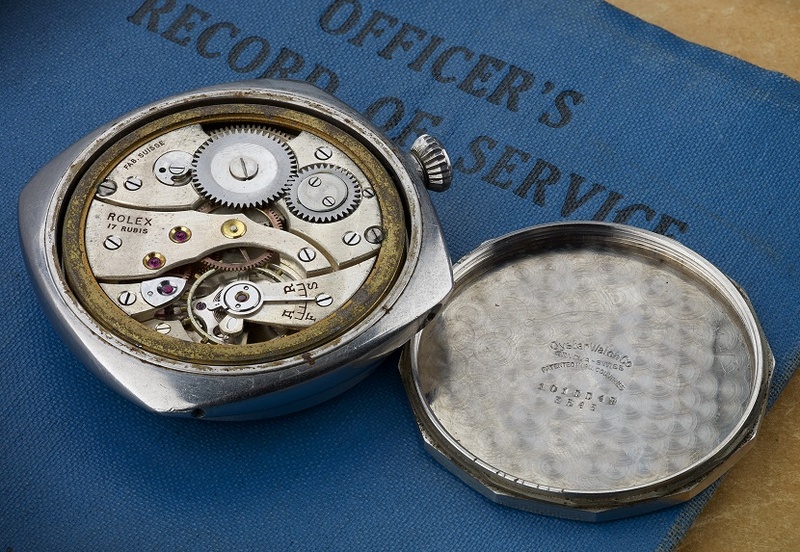 “It is astonishing to think that the two WWII Panerai watches we have had up for auction in the past year were seized as part of the same altercation by men who would have surely known each other,” said Laura Bishop, Watch Manager at Fellows.